After two years with a very fine-point focus on Xbox Live Indie Games, Indie Gamer Chick is now shifting towards coverage of indies across all platforms. You’ve probably noticed that the amount of games being covered from PlayStation Network and Xbox Live Arcade has increased lately. The reason for that is simple: the sun is setting on XBLIGs, and the community that has graciously supported me over the last couple years has started to move on to other avenues of indie distribution. Thus, the community that existed when I started this blog in July of 2011 is being absorbed by the overall indie community. It makes no sense to stick by one platform anymore. This doesn’t mean coverage of XBLIGs is stopping here. In fact, XBLIGs will probably occupy most of my time over the coming months. But we’re also on the verge of two new consoles being released, each of which will have some form of open publishing for indie developers. Probably. Not to mention Nintendo is also joining the self-publishing bandwagon. I mean, they’ve been saying they’re doing that for months and yet their Wii U eShop is still a wasteland of moldy virtual console titles and little else. But, I’m sure a new breed of indies will arrive soon. Maybe. Fingers crossed. 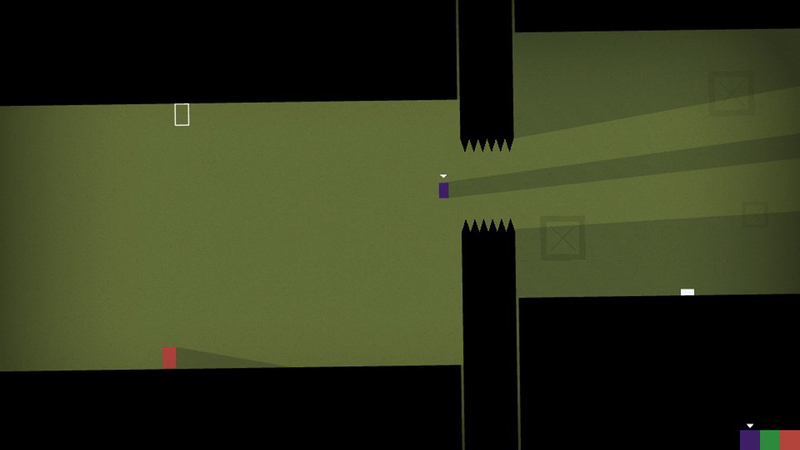 Thomas Was Alone finally hits the Leaderboard, where ironically it won’t be alone. The biggest change to Indie Gamer Chick is the Leaderboard, which is now multi-platform. I’ve known this changeover was coming for a while, and I’ve spent the last several months agonizing over how to handle games that straddle the line on whether they’re “indie” or not. I certainly don’t want to rank a game by a well-funded, multinational company against a garage-shop project made by two people. It simply wouldn’t be fair. But, where do you draw the line? What makes a game indie and another not? Even developers are confused by the issue. Is it the size of the studio? Their funding? What about how long they’ve been around? Have they done larger licensed properties? If they get distribution through a publisher, how much creative control (if any) do they give up to that publisher? Often, there’s going to be a lot more questions than answers. For example, how do you define Tokyo Jungle? Sony owns the IP and their Japan Studio was involved in the development in some capacity. 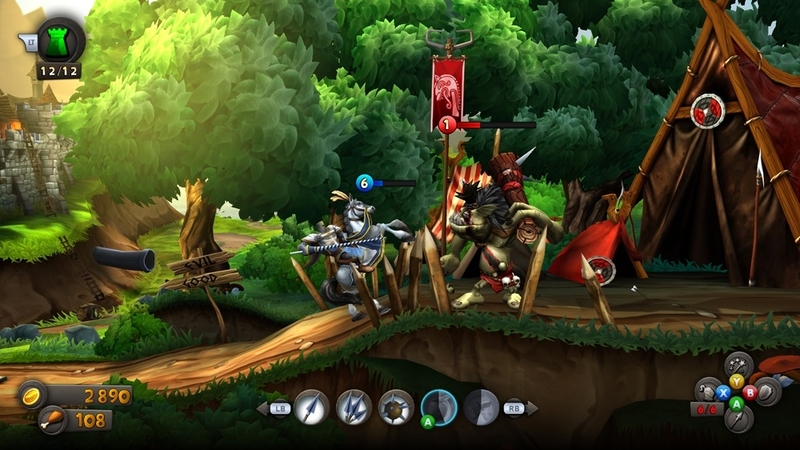 However, a studio called Cripsy’s (founded in 2007 by a group of gamers with no development experience) created the concept and handled most of the development side of things. And Toyko Jungle only came about after a series of failed pitches for other concepts to Sony. It would seem Sony had minimal creative feedback in Tokyo Jungle, except in areas related to promotional material. Hell, they barely managed to secure a US release, because Sony believed the game was too niche for us filthy American swine. Tokyo Jungle – Indie or Not? Thankfully, I don’t have to answer that. I didn’t review it, and I don’t plan on it. But I did review several games where that line isn’t so clear. What would you call Worms: Revolution? It was developed by Team17, who has been around since 1990. They’re independent in the sense that they’re not owned by a major gaming company or a multinational conglomerate. But they also have a staff of 75 people, and let’s face it, Worms is a hugely established gaming property. Bordering on iconic. 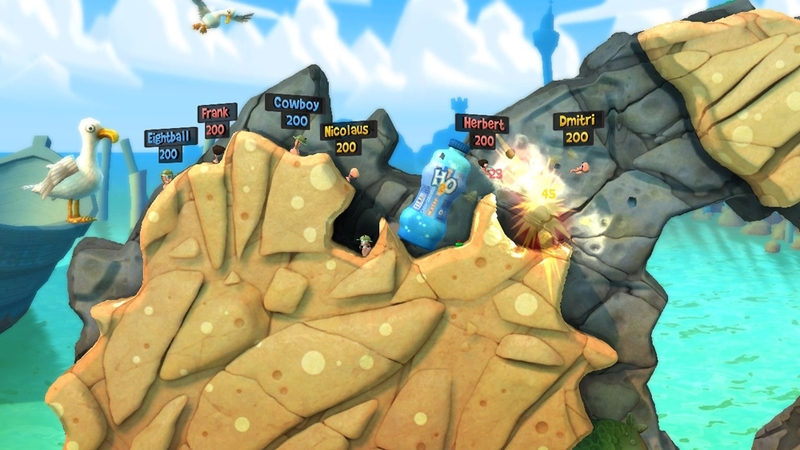 Worms: Revolution – Indie or Not Indie? Worms, eh? Never heard of it. Must be one of those newfangled Indiana games I keep hearing about. After months of debating, Brian and I both agreed that they weren’t “indie” in the sense that we’re aiming for. Then again, we’re not sure what we’re aiming for. Indie is becoming less a culture and more of a marketing term. We’re having trouble finding where the indie line is, let alone what falls on each side of it. Thatgamecompany had the might of Sony’s marketing machine to push Journey into the realm of success. But Sony had no creative feedback in Journey, and at the time it was made, Thatgamecompany only had nine employees. Journey: Indie or Not Indie? I went with indie. In fact, I put it #1 on the Leaderboard. I loved that game. But, since Journey came out, Thatgamecompany has raised millions in venture capital and seen their games released on a compilation disc. I doubt I would classify any future games by them as indie. I’m not ruling it out either. I’ll have to wait and see. The game that gave us the toughest time to sort out was CastleStorm. Zen Studios, like Team 17, is independent in the sense that they aren’t owned or anchored by any major publisher. But, according to Wikipedia, they employ between 50 to 100 people, most of which are in Budapest (according to Mel Kirk, their American arm employs three people in California). Most importantly, they have worked on such major properties as Ghostbusters, Marvel and Star Wars. In my opinion (and in short), an independent developer is someone or ‘a group’ who control their own destiny. They do not have to answer to marketing, executives, publishers, etc. The developers themselves are 100% in control of the creative vision, all aspects of development and publishing, marketing, public relations, etc. That means indie devs can be 2 man teams or even 80 people – as long as they are in 100% control of the game and are there is no outside influence impacting development. Fair enough. But, let’s face it, they wouldn’t have had full creative control on many of their projects, even if the Disney people didn’t exercise it. If they included a special table in Star Wars Pinball that showed Jar Jar Binks getting sucked off by Han Solo, Disney would have beat them to death with a plastic lightsaber and fed their remains to George Lucas. Then again, unless you’re publishing a game yourself on PC, you’re never going to have full creative control. Steam and the various console publishers will keep certain subjects taboo and never back down on those. Forget about Jar Jar and Han. Sucking off wouldn’t be allowed in CastleStorm either. There is NO SUCH THING as full creative control for console-based indies. You’ll always have some kind of rule hanging over you. Anyway, despite having to concede that CastleStorm was fully conceived internally with no outside funding or influence, we ultimately didn’t call Zen Studios “indie” in the sense that their games should be stacked against the Thomas Was Alones or Escape Goats of the world. It somehow didn’t seem fair. And that’s probably how I’ll ultimately decide what gets filed under indie and what doesn’t. The label of “indie” is too abstract to draw up specific lines for. A studio could be staffed by thousands of first time developers on a shoe string budget and no contacts to guarantee funding or success. On the flip side, if Shigeru Miyamoto or John Romero started a small three-man operation, you probably wouldn’t call their efforts “indie” no matter the game’s size or scope or budget. That’s what I’ll have in mind when it comes time to decide whether a game gets ranked or not. I’ve spent the last six months trying to find “the indie line” and have come to the conclusion that there’s no such thing. It makes me happy to see it at the top of the leaderboard now. I’ve never heard a clear, useful definition of ‘indie’ even though I am one. Maybe it’s a spirit rather than a formula? Mel’s definition is basically how I think about it. If someone is paying you to develop a game they’re going to publish, you’re not indie. “full creative control” has nothing to do with the platform(s) you’re targeting. You play by the rules of the sandbox you’re playing in. If you have full creative control within the platform you’re working on, without some company looking over your shoulder because they’ve given you money to work on the game, you’re indie. Of course, it’s always going to be a difficult term to define. If the majority of your games are indies and you develop one game that you use a publisher to put on a platform that doesn’t automatically make you non-indie, unless you continue to go that direction. Since you asked on twitter for more comments – “indie” for me is you are independent if you control your IP and only work on your own games (i.e. do not published games from other studios). Running your games though a publisher is fine as long as the studio holds the IP – which is rare but does happen. I use a “sequel check” sometime to help figure this out. Can the studio put out a sequel to their game on any platform available to them without needing permission from anyone outside of the studio? If that answer is no, then they are not “independent”. This however isn’t cut and dry, studios like Double Fine have games they own all the IP to and games they do not. 22 Cans is also independent as hard as it may be to call a veteran like Peter “indie”. I leave money and size out because it’s really saying you can be “too successful” to be indie. Mojang is very indie in IP control and size, even though they have the revenue of a small island nation. So now comes the problem of what IGC (and also GameMarx) choose to cover. I see little value in me covering an XBLA summer of arcade release like Charlie Murder, even though James may still be “indie” (I’m not 100% if Ska retained IP control with Microsoft Studios). Really though what I want to do is highlight games that may have been over looked or not had much exposure. Games that didn’t get much if any main stream press coverage. Games that are “indie” because they are not “mainstream” – which is another way to define “indie”. For the leaderboard, I’d just define it as “games IGC has reviewed” and leave it at that. Then you can make a game-by-game call if it’s indie enough to warrant your attention.